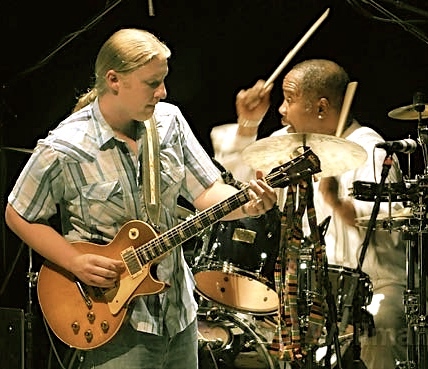 Q. I wanted to know about [Derek Trucks‘s] style, about what he tries to say using his guitar. This entry was posted in Drum/Music News and tagged Allman Brothers, Derek Trucks, Drummer, Elvin Jones, Scott K Fish, Tedeschi Trucks. Bookmark the permalink.